Sainsbury’s held a really fun (and tiring!) 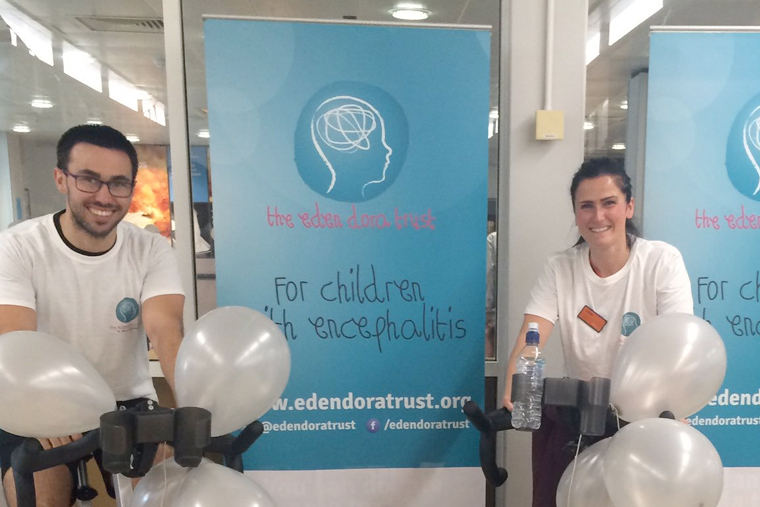 bike ride in store today in aid of The Eden Dora Trust for Children with Encephalitis – raising funds and awareness with every pedal. Thank you! 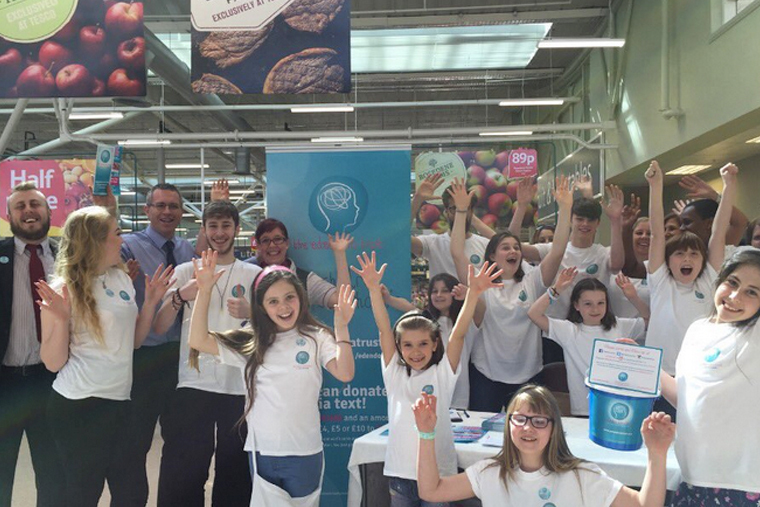 We had a really fabulous weekend in Sainsbury’s Archer Road Sheffield today, raising lots of awareness with the lovely customers and staff. So many of our amazing supporters came to help us pack shopping bags while handing our information leaflets out. We raised an incredible £1600.73 – wow! Thank you so much to everyone involved. 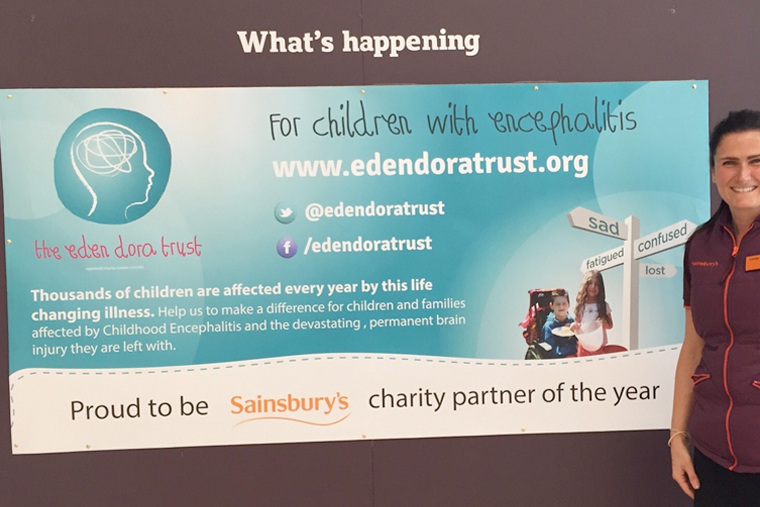 We are so pleased and absolutely blown away to announce that we have been voted Sainsbury’s Archer Road and Sainsbury’s Bradway branch’s Charity of the year!